The Indian men begin the year with the Azlan Shah Cup later this month but elsewhere around the hockey world, the action has been hotting up as the FIH Pro League continues to captivate audiences across Europe, South America, and Australasia. Spectacular and intense encounters coupled with colorful and enthusiastic crowds who have been thronging the stands in Valencia, Sydney, Auckland, and Buenos Aires has no doubt whetted the appetite of Indian fans, many of whom would have loved to witness their team up against the best sides in the world. With Tokyo 2020 in mind would the League have helped India? What is debatable, however, is whether the Indians would have benefited from the rigorous travel schedule keeping in mind their primary aim of qualifying for the Olympic Games. Some experts are of the opinion that the Indian team can now train well while the countries that are part of the League have absolutely no time for practice, considering that they have to focus on winning and traveling all the while. Shuttling between one continent and another in the space of a week or so does take a toll on fitness and teams like Holland have rotated their charges quite a bit. Do the Indians have sufficient depth in the squad to succeed in such a competition? Siegfried Aikman, coach of the Japanese men's side has been following every single match of the League and feels strongly that the Indians would certainly have benefited - and that the Indian men do have the depth to have succeeded in the tournament. In an interaction with Sportskeeda, the Dutchman adds, however, that fear of criticism following the team's failure to win has blunted India's ability to make good use of their bench strength, and points to the events that transpired following last year's Azlan Shah Cup where the Indians played what was effectively a second-string team. "Sjoerd Marijne learned a lesson when trying to rotate the squad"
"India still have the group who won the Junior World Cup and also have a core group. With those many players who are always camping, they should be able to find 32 good players to rotate." "I not only think that India is missing out, I think that India is missing a lot too. This was a golden opportunity to grow and learn by playing against many western teams, improving their play, and their tactical structure, and even more importantly, they could have given many youngsters a window to showcase themselves at the top level." "India is afraid to allow the reserves and probables to play because they are hugely criticized when they don't win. Sjoerd (Marijne) learned his lesson when he tried this with the men's team." On the subject of depth, the master coach reckons that had Pakistan taken part in the Pro League, they would clearly have struggled given that the old wizards of the game are unable to string together eleven good players. "Pakistan is, of course, missing the Pro League, but they are not on the same page as India. Pakistan has a developmental task and should be focused more on that. They are not ready yet to play at this level as we could see at the World Cup. First, they have to develop and grow and when they are competitive they would be missed in the Pro League." The southern hemisphere witnessed the bulk of the action at the Pro League over the last week or so with Argentina and Australia earning full points. Hockey fans in Buenos Aires who had to face the disappointment of a canceled fixture when the home team's match against Germany had to be called off due to inclement weather, made up by cheering the Los Leones on to a memorable 4-3 victory against the Dutch. Lucas Vila scored a brace to help his side get the better of the World Cup silver-medalists as a result of which Argentina registered their first win of the tournament after having lost to Belgium in their Pro League opener in January. 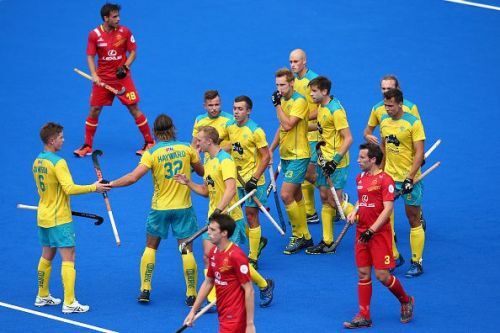 The kookaburras, meanwhile, have had the advantage of not having to leave Australian shores thus far, and have made the most of home advantage by becoming the first team in the competition to notch up a hat-trick of wins. Colin Batch's boys did fumble a bit in the striking circle but overcame a Spanish side which has thrived on shoot-out bonus points so far in the competition. The Red Sticks were denied another opportunity to do the same by Daniele Beale who scored the winner early in the final quarter after both sides were locked 1-1 at half time. Dylan Wotherspoon had been a trifle unlucky not to have deflected Tom Craig's cross into the back of the net early in the game but found Beale who had veered ahead of the Spanish defence to tap home past Mario Garin in goal. The match at Sydney was a great exhibition of good sportsmanship. Aussie goalkeeper Tyler Lovell was at his acrobatic best as he managed to keep Xavi Lleonart's PC strike out which was appreciated right away by Alvaro Iglesias who was lurking at the far post. Aikman reckoned that the former world champions did well to keep calm and nullify the Spanish counterattacks. "I do not think Spain played well in this match. Australia wasted many great goalscoring opportunities. Spain is a team which has some good moments in each match but most of the time are unable to play a controlled game. Their counterattacks are good but when the opponents don't panic, Spain can be controlled. Australia did a good job regarding this." "I believe that all the teams in the top-ten bracket can beat each other when they have a good day. Spain is one of those teams. They will not be able, yet, to do this consistently. The Pro League, however, gives them a super opportunity to play many high-level matches which they can benefit from when playing the lower-ranked teams." The Aussies had earlier beaten Great Britain and Germany and now sit pretty with 10 points from 5 matches while the Belgians have 9 points from 4 matches. 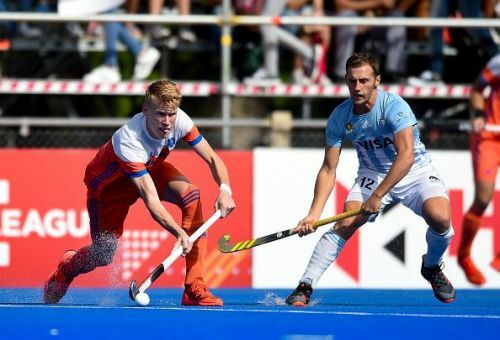 Next up is an all-European affair when the Netherlands clash with Germany in Rotterdam on Tuesday while the New Zealand Black Sticks (who have yet to win a match from 4 encounters) take on Spain and Argentina in Auckland later this week.